FITS: Vehicles with wheel studs requiring a 1/2"-20 thread and wheels that take a conical 60 degree seat with a 3/4" hex. VERIFY FITMENT: By matching this lug's specs (thread seating style hex etc.) to match both your vehicle and wheel requirements. Or contact our Customer Experience Team to verify a safe and proper fitment. 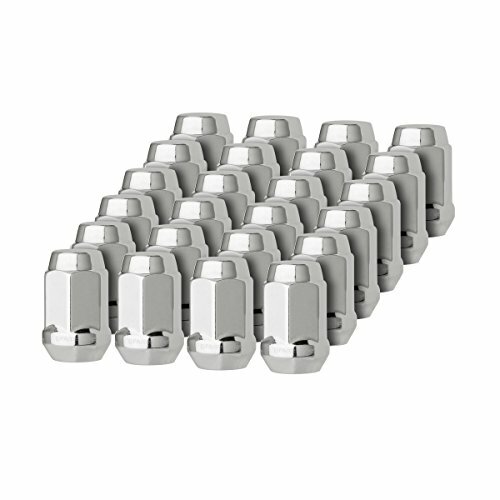 INCLUDES: 24 Chrome Closed End Bulge Acorn Lug Nuts. Shipped in our signature premium packaging.